"Our customers are leaving in droves. Those that stay are killing us in price negotiations. We need your help to fix it." A major pharmaceutical company asked me to understand how, despite spending millions in marketing, advertising, and sales, low-cost generic competitors were eating their lunch in a particular segment. They had slick brochures that promised great benefits including higher inventory turnover, lower COGS, enhanced cash flow, highest returns on investments, high-tech inventory management programs, and more. Yet revenue was sliding. Customers seemed to only care about low price. Salespeople were negotiating away margin, and over-servicing customers to make up for what seemed like inflated prices. The dots weren't connecting. 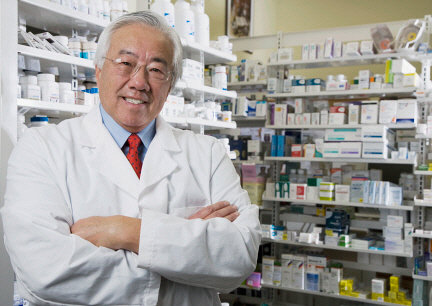 I sat down with an elderly Mr. Wong in the cramped backroom only barely separated from the noise and hustle in the front of his small NYC pharmacy. When I asked about his experience in working with my client, he told me that he hadn't seen his sales rep in four years. He had never seen the brochures detailing the bevy of programs that my client offered. He admitted, in fact, that he didn't didn't know what COGS was (cost of goods sold). I came up empty as I tested all of my client's assumptions. I have to grow volume. But I can't do either because the insurance companies are squeezing everything. I'm looking ahead at retirement and I need help in getting my son ready to take over the business. I repeated these interviews in many, many different pharmacies across the US. The answer was shockingly consistent: customers were clamoring for help. They were willing to pay more for greater value. But they didn't understand what my client was telling them. My client was providing glossy brochures designed for the CVS and Walgreens of the world. But the small pharmacists didn't understand COGS, inventory turn, ROI. They were pharmacists. Who were forced into running a business. In the absence of real value, they turned to price-the only thing they had left. I suggested four key hot-button issues that marketing and sales could use that actually met customer needs. And sales increased by $20M. Each year. One of the foundational tenets of design thinking is deep immersion in your customer's world. Like my client, without this deep immersion, you are stuck with supposition and belief-which may be completely wrong and may have damaging financial ramifications. What if you were to deeply immerse yourself in your customer's world? What if you were to simply ask your customers, "What are you trying to accomplish? What is important? Why?" There are any number of methods to formalize this process from simple phone interviews to "follow-me-home" visits to full ethnographic research. But what if you started with a direct conversation with a couple of your best customers and asked, What? And Why? Whom can you call tomorrow? Take the first step in applying design thinking by deeply immersing yourself and your team in your customers' world. We're focusing exclusively on design thinking in our upcoming CCO Council meeting on April 12. Brilliant conversations with brilliant CCOs. If you think you should be there, call me @ 978-226-8675.